no-scratch, button-front placket. Contains two front chest pockets and sleeve utility pocket. 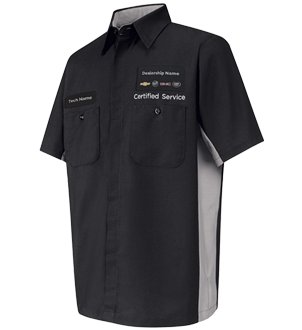 Shirt is stocked with "Certified Service" logo on left chest and center back yoke.